NASA’s Mars Curiosity rover just hit a new milestone: its two-thousandth Martian day, or sol, on the Red Planet. An image mosaic taken by the rover in January offers a preview of what comes next. Looming over the image is Mount Sharp, the mound Curiosity has been climbing since September 2014. In the center of the image is the rover’s next big, scientific target: an area scientists have studied from orbit and have determined contains clay minerals. Curiosity’s science team is eager to analyze rock samples pulled from the clay-bearing rocks seen in the center of the image. The rover recently started testing its drill again on Mars for the first time since December 2016. A new process for drilling rock samples and delivering them to the rover’s onboard laboratories is still being refined in preparation for scientific targets like the area with clay minerals. Curiosity landed in August 2012 and has traveled 11.6 miles (18.7 kilometers) in that time. In 2013, the mission found evidence of an ancient freshwater-lake environment that offered all the basic chemical ingredients for microbial life. 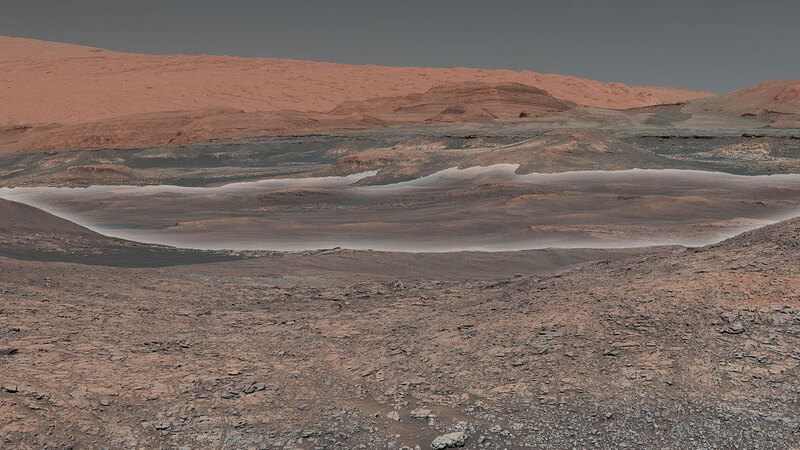 Since reaching Mount Sharp in 2014, Curiosity has examined environments where both water and wind have left their marks. Having studied more than 600 vertical feet of rock with signs of lakes and groundwater, Curiosity’s international science team concluded that habitable conditions lasted for at least millions of years. Be the first to comment on "Mars Curiosity Rover Celebrates Its Two-Thousandth Martian Day"